This image was leaked by some US repair shop back in February and these days another service center caught it on video. 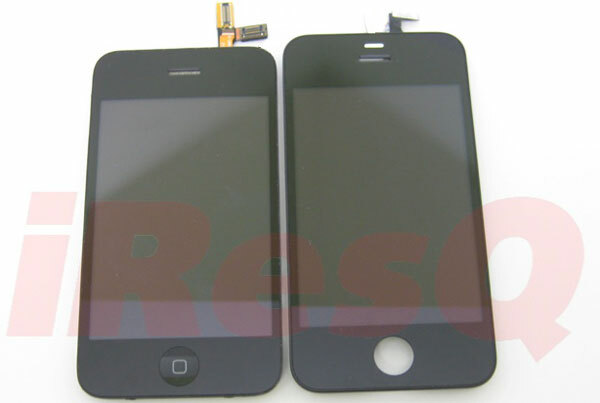 Even if the frame surrounding the iPhone 4G screen is considerably taller than the frame of the iPhone 3GS but the diagonal of the display (3.5 inches) remains untouched. There is still no word on the screen resolution though but there is enough room for speculations. One source suggests the next iPhone will feature a 960 x 640 display. The same source states that the new phone will actually be named iPhone HD and it’s expected 22 June. The iPhone HD will run on an iPad CPU – the 1GHz A4 System-On-a-Chip platform. And the iPhone OS 4.0 update is expected to enable true application multitasking. By the way, according to the WSJ, Verizon customers will finally get to taste the iPhone, sometime in September. And if those are not enough – check out the suspicious round hole right next to the earpiece on that video up there. Did somebody say videocalling? Well, June is around the corner and so is the iPhone 4G with the answers of all the questions we’ve got about it.